In a large pot, brown ground beef until cooked through and juiced run clear. Add onion, garlic, oregano, basil, pepper and thyme. Cook over medium heat for two minutes. Add tomato sauce, diced tomatoes, lemon juice and sugar and stir in. Bring mixture to a boil and reduce heat and simmer uncovered for 15 minutes. 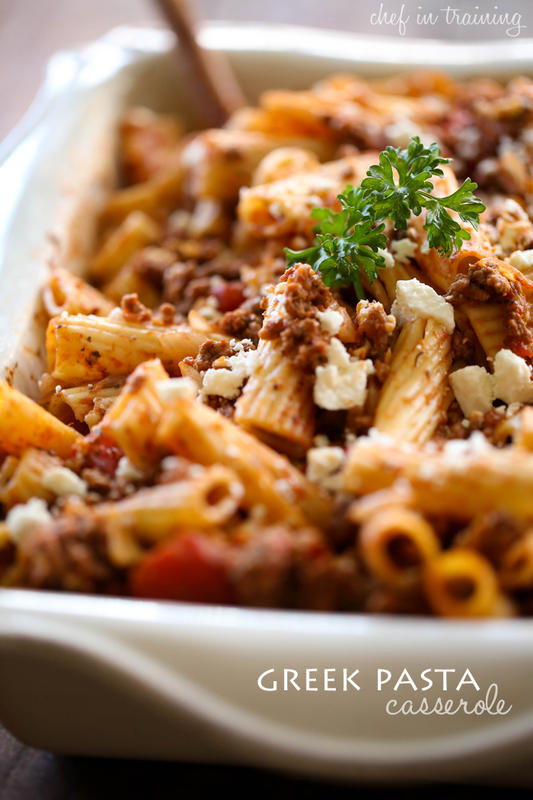 Stir in pasta and ¾ cup feta cheese. Place in a 9x13 inch casserole dish and garnish with ¼ cup feta cheese.